When I picked up Lilac Girls by Martha Hall Kelly , I knew what I was in for. WW2- with the death camps and blitzkrieg, Hitler and his desire to create a new world order, and most of all the stories of the victims who survived the Holocaust. There is a plethora of information available in books and on the Internet, yet this genre is one of the most read genres in the literary world even today. Lilac Girls is Martha’s debut semi fictionalised account set in Poland, USA and Germany. At Ravensbrück, Hitler’s only major concentration camp exclusively for women, medical experiments were conducted on inmates, most of them from occupied Poland, and graded as political prisoners. After the war, the Ravensbrück trials saw four of the inmates testify against the medics and staff of the camp. The Polish victims were given the nicknames ” Kaninchen, Króliki, Lapins, or Rabbits ” for two reasons- they hopped like rabbits on their disabled legs and they were used as rabbits for experiments. Five died as a result of the experiments, six with unhealed wounds were executed, and (with assistance from other inmates) the rest survived with permanent physical damage. Four such survivors — Jadwiga Dzido, Maria Broel-Plater, Władysława Karolewska, and Maria Kuśmierczuk — testified against Nazi doctors at the Doctors’ Trial in 1946. Between 120 and 140 Gypsy women were sterilised in the camp in January 1945. All had been deceived into signing the consent form, having been told by the camp overseers that the German authorities would release them if they complied. Martha takes the liberty of interweaving facts with fiction, to help the reader connect with the characters. Given that this is Martha’s first novel, her research is commendable. However, the disjointed writing style makes it difficult to instantly connect with the characters. Told as a first person narrative by the three main protagonists, Caroline, Kasia and Herta, this semi fictional novel looks at the feminine side of the war, that changed the face of the world. 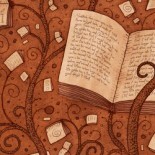 No amount of awareness can prepare one against the barbarity and brutality that leaps out of the pages. It’s only when Martha, in Kasia’s voice, starts describing the heinous treatment of the inmates, does one truly connect with the characters. Once I googled Caroline Ferriday, I was awestruck at the sheer steadfastness of this courageous woman. 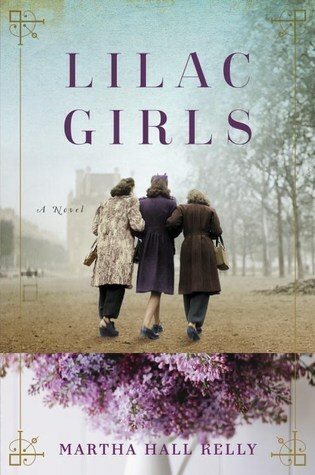 For me, Lilac Girls is more about history than the story the author is trying to tell, but an interesting read nevertheless!!! This entry was posted on May 14, 2016 by artikabakshi in Book Reviews, Fiction, Historical and tagged Caroline Ferriday, Herta Oberheuser, Lilac Girls, Martha Hall Kelly, Ravensbruck.